 Heavy Metal is, depending on whom you ask, a music genre either rooted in the lore of the Norse gods or in the excesses of the American Dream or in the desperation of the British factory worker circa the late sixties. Despite a brittle association to blues music, it’s very much a white man’s gig. And yet, not exclusively so. For just as you’re sure to find a pasty skinned Brit donning dreadlocks and a Bob Marley tat on his way to a Rastafarian church gathering somewhere down in London’s OMO white suburb of say, Cranham, so too will you find a black kid in Botswana throwing the horns and headbanging to Slayer like his life depended on it. This latter scene intrigued Italian indie film maker Raffaele Mosca. 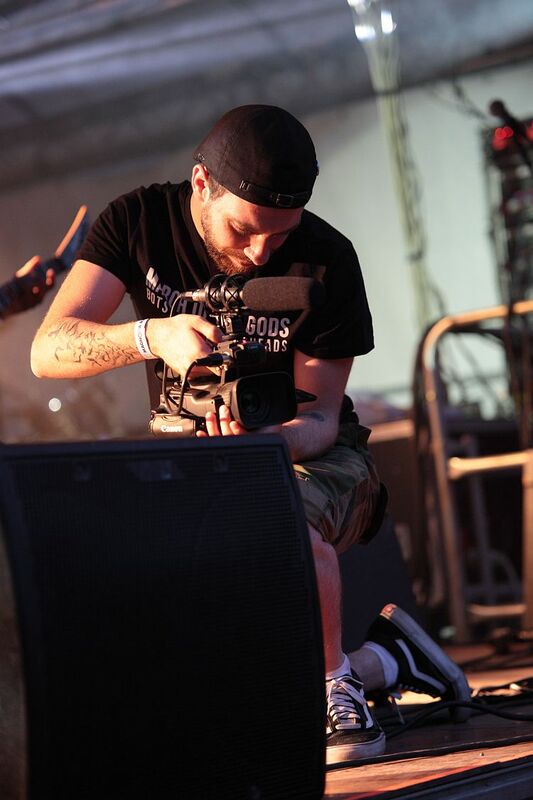 So much so that he raised the money to travel to Botswana to make a feature length documentary about the small but vibrant heavy metal scene that exists there. Entitled March of The Gods, it’s a carefully balanced and creatively shot peek into a world that is a world away from the world of hair, blasphemous imagery and corpse paint of the western metalhead. 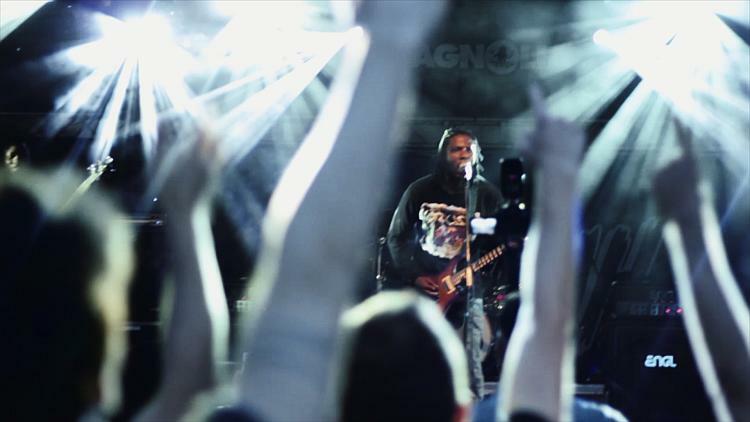 How did you become aware of the heavy metal scene in Botswana? It was 2011 and while surfing online I stumbled upon Frank Marshall’s ‘ Visions of Renegades’ photo gallery on the Vice Magazine site. I was looking for ideas for a documentary at that time and I was blown away by the characters portrayed in Frank’s pictures. I realised right there that there was no way I wouldn’t turn this into a film. What was your angle? Are you a fan of metal or just a fan of curious subcultures? I’ve been listening to heavy metal since I was ten-years old and I wanted to discover how these guys were exposed to this music in the first place. Botswana is a bit outside the reach of major music distribution so you can imagine how difficult it is to find and discover new underground bands from Europe or the US. How much time did you spend on filming the documentary? It took us three weeks to wrap up the shooting in Botswana and one day in Milan, Italy. What was the most interesting aspect for you as a director, filming the March of the Gods? The most interesting aspect was the sheer peculiarity of this scene as a whole: how they developed their unique aesthetics, how (and if) they are trying to merge aspects of their own culture into this music genre, how they perceive the scene in Europe and the US and their dreams and aspirations. Those are the key elements of March of the Gods. Is it more of a music documentary or more of a movie about people? What with the rise in social media, and platforms like YouTube, has it become easier, or more difficult to get people’s attention through the medium of film? It’s easier to let the world know that you’ve created something; it’s harder to emerge in an era when every single one of us is constantly drowning in information. A YouTube trailer is useless unless you work your way out with the magazines, blogs, websites and so on. Thankfully, the human element is still predominant. What do you hope this documentary will achieve? Both for you as a director, and for the perception of alternative music and different cultures on the African continent, in general? First of all, I think I’ve already achieved the most important thing for a director – which is experience. Making this film was a massive lesson in film making. Then I’d like the movie to be seen. I want people to talk about it, to love it and hate it. And then I’d like the people to realise that it’s not odd or bizarre to have thriving heavy metal subcultures in Africa. I don’t like it when I hear or read the word “unexpected” in reference to this phenomenon; I mean it’s the 21st century! There are lots of people in Africa and some of them like metal music. It would be unexpected only on, say, Mars. I hope this movie is going to challenge the stereotype of an Africa that is completely cut off from the rest of the world and to show how these guys took an element of Western popular culture and transformed it into something of their own. March of the Gods is quite a stirring title. Does it reference anything in the film in particular? It’s the name that Wrust (the main band the documentary focuses on) gave to the promotional tour of their latest record. It is also a reference to the metalheads; they literally march down the streets in their flamboyant attire. The documentary was funded with personal savings. We ran an Indiegogo crowd-funding campaign to cover part of the airplane tickets to bring the band (Wrust) to Italy. During pre-production, we tried to get sponsors and funding in the UK, but met with no success so we decided to go on and fund it ourselves and the total budget was around 12 000 pounds. Help came in the form of cooperation between us and the organisers at SoloMacello Festival in Italy, where Wrust performed. Wrust actually helped us a lot logistically, for the entire duration of the filming we stayed at Stux Daemon’s, Wrust vocalist’s, house. Any especially memorable moments that happened during the filming? One time a group of metalheads decided to pull a prank on me (you know, the naive European), and tried convincing me that they were going to scratch off the tattoo on my left arm with a broken bottle. That was a fun one! Will there be a follow up? Will you be seeking out any other disparate music scenes in other parts of Africa, or is this particular “theme” exhausted? I think the theme is exhausted, for the time being, unless of course something similar and as peculiar as this comes to my attention. I’m already doing some research for the next project and it’s a totally different subject. *Catch March of The Gods at the X-Fest Film Festival taking place at the Labia cinema in Cape Town and at The Bioscope Independent Cinema in Johannesburg this weekend. wow! 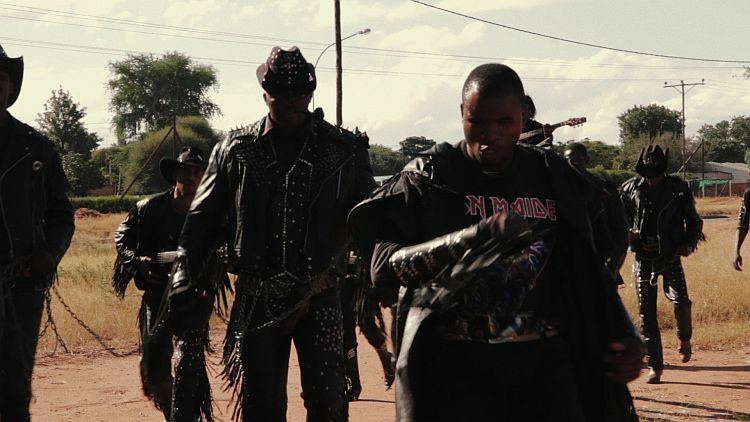 i’m astound…METAL MUSIC FANS in Botswana and are black guys!!!!? never could i have imagined. atleast i would expect this kind of emerging culture fusion in SA/AUSTRALIA that is among blacks.